Meet the veterinarians & team of Outlook Veterinary Clinic serving the Lake Diefenbaker region! We’re pleased to provide exceptional vet care for your pets! Please call us at 306-867-8777 to speak to one of our caring veterinary staff members! 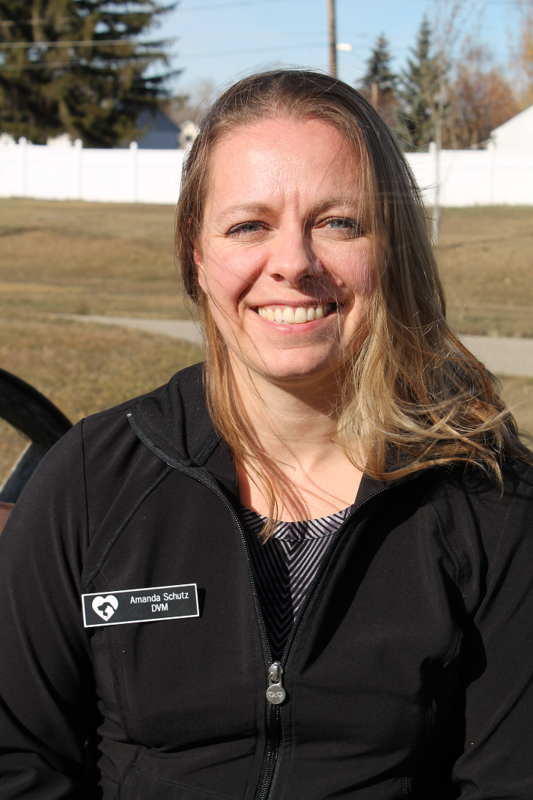 Amanda grew up in Calgary wanted to be a veterinarian from a young age. She moved to Saskatoon in 2008 and loves living in Saskatchewan! 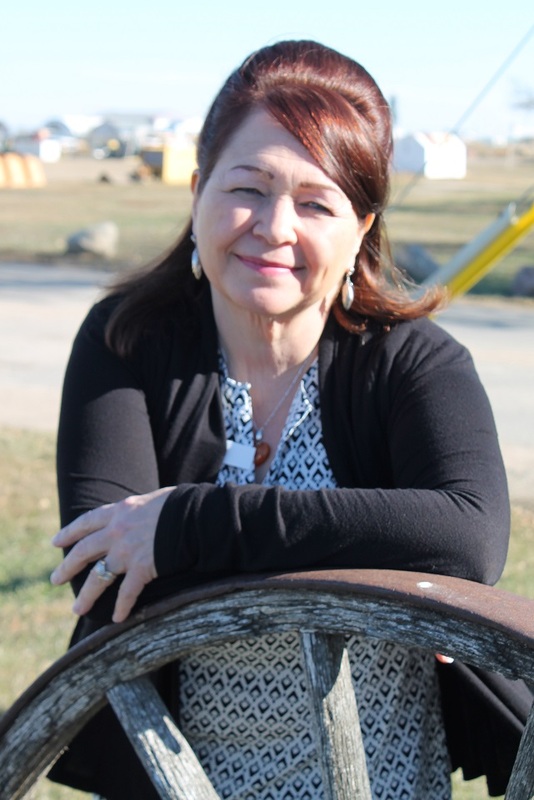 She lives on an acreage with her husband, a dog and several cats. She became a veterinary technician first, then decided to follow her dream and graduated from the WCVM in 2014. She is passionate about small animal preventive care and medicine, and loves taking care of her patients and their two-legged family members. She is providing the small animal services at Outlook Veterinary Clinic. Dr. Millham graduated from the Western College of Veterinary Medicine in 1995. 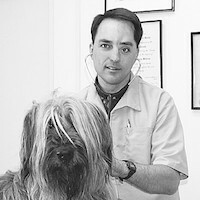 He founded the Outlook Veterinary Clinic in 2006. It has certainly been quite an experience watching the clinic grow over the years. He enjoys practicing general veterinary medicine and surgery, especially with a dedicated and caring team who are always looking to improve their clinical knowledge and skills. Steffanie joined Outlook Veterinary Clinic in 2011 as a receptionist. She has decided to pursue a career in veterinary medicine and is currently enrolled in a distance Animal Health Technician Program through Thompson Rivers University. Along with her general technical duties, Steffanie plays a key role in the “behind the scenes” of practice management. She also plays a major role in helping our practice closely monitor and fine-tune treatment protocols. Her special interests include small animal medicine and cytology. Her goal for the future is to become a registered AHT. 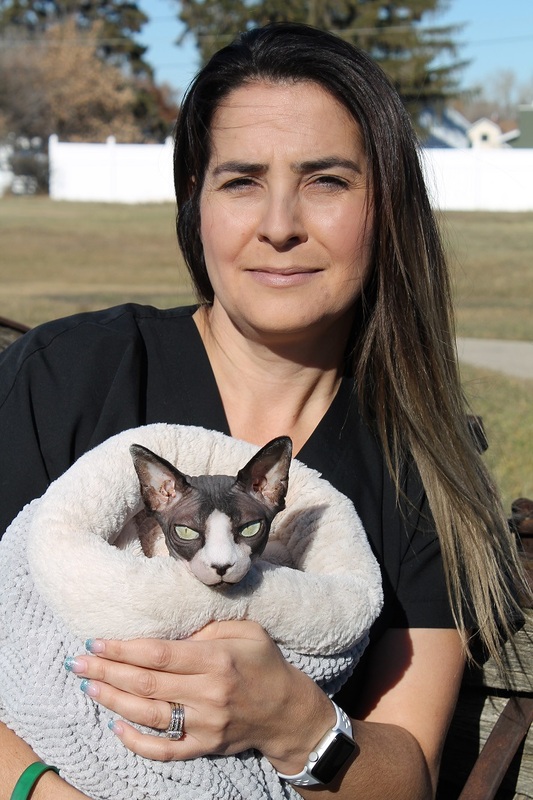 Brenda joined Outlook Veterinary Clinic in 2006 when it was founded. Along with her general technical duties, Brenda plays a key role in follow-up care for some of our chronic care patients, routinely discussing patient progress with pet owners and reporting her findings back to the appropriate veterinarian. Brenda plays a major role in helping our practice closely monitor and fine-tune medical treatment protocols. Brenda’s special interests include feline medicine; she is currently working on her Feline Nursing degree through ISFM. 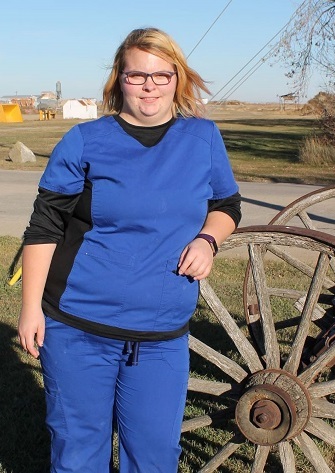 Katelyn graduated from the Veterinary Technician Program at Lakeland College in 2016. She then completed the required examinations to become a Registered Animal Health Technologist (RAHT). She joined Outlook Veterinary Clinic upon graduation. Along with her general technical duties, Katelyn plays a key role in follow-up care for some of our chronic care patients, routinely discussing patient progress with pet owners and reporting her findings back to the appropriate veterinarian. 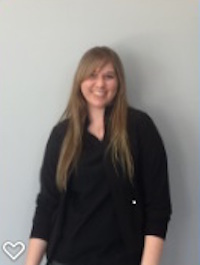 Katelyn plays a major role in helping our practice closely monitor and fine-tune treatment protocols. Her special interests include equine medicine. 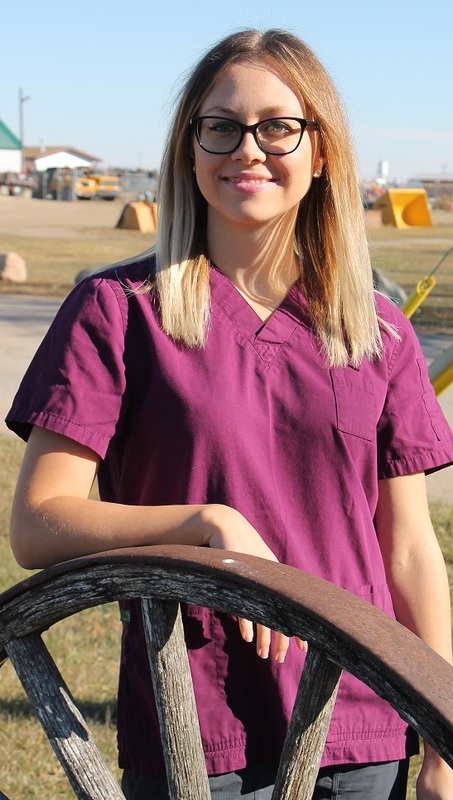 Bailee graduated from the Veterinary Office Assistant Program at McKay Career Training in Saskatoon in 2015. She joined Outlook Veterinary Clinic first as a volunteer student through the Outlook High School, upon her graduation she joined our team full-time. Along with her general assistant duties, Bailee plays a key role in ensuring our patients stay at our clinic is a comfortable one. Her special interests include furthering her knowledge of veterinary medicine. Linda joined our team as a receptionist in 2014 and our customers have been singing her praises since day one! She loves to make people and their pets feel welcome and excited to visit our veterinary hospital, which comes naturally with her infectious smile. She is also more than happy to help impart some of her knowledge on animal behavior and dog training from her years of experience!